Kit Reed – The Future is Female! Kit Reed (June 7, 1932–September 24, 2017) was born Lillian Hyde Craig in San Diego, California; her infant nickname “Kitten” was later shortened to “Kit.” The only surviving child of naval officer John R. Craig and teacher Lillian (Hyde) Craig, she grew up on and around military bases in Connecticut, Florida, Hawaii, and elsewhere. After her father’s death in 1943 (he was lost at sea in the Pacific as Lieutenant Commander of the submarine USS Grampus), she attended high schools in Florida, North Carolina, and Washington, D.C., and in 1954 graduated from the College of Notre Dame of Maryland. She married Joseph Reed Jr. in 1955 while working as a reporter for the St. Petersburg Times. Her salary at the New Haven Register, where she won awards for her reporting on the juvenile justice system, helped to put her husband through graduate school. Moving to Middletown, Connecticut, in the early 1960s, the couple had three children; both taught at Wesleyan University for most of the rest of their lives. 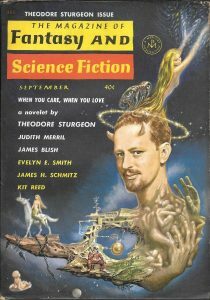 Reed’s earliest-known science fiction story, “Space Traveler,” appeared in the Sunday magazine of the St. Petersburg Times in July 1955. 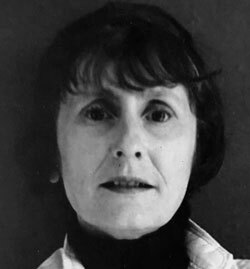 “The Wait,” in the April 1958 Magazine of Fantasy and Science Fiction, set her on a professional writing career that ultimately included almost a dozen story collections, more than a dozen novels, and occasional nonfiction as well. Principally known as a writer of speculative fiction, she published works in a variety of genres, including the comic novel Mother Isn’t Dead, She’s Only Sleeping (1961), psychological thrillers under the pseudonym (a variation of her maiden name) Kit Craig, and the horror novel Blood Fever (1986, as Shelley Hyde). She died in Los Angeles at eighty-five, of an inoperable brain tumor. Reed’s honors include a Guggenheim Fellowship, a five-year grant from the Abraham Woursell Foundation, three nominations for the James Tiptree, Jr., Award, and the Young Adult Library Services Alex Award (for her 2005 novel Thinner Than Thou).